SET FOR DECEMBER 3 TO HELP SAN DIEGANS IN NEED. 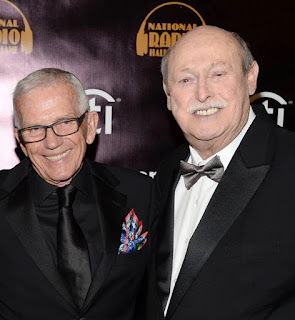 Called “Jagger & Kristi’s Wish-A-Thon,” hosts Mark and Kristi Jagger, Producer Sammy Jo and more of the Magic 92.5 air staff will be on-air from 5:00 AM to 7:00 PM encouraging listeners, businesses and community members to make a donation. All proceeds raised will be used to help San Diego families who have been nominated to receive a “Christmas Wish,” this holiday season. Magic 92.5 staff will have remote teams at Westfield North County, Westfield Mission Valley, and Chula Vista Center Mall, where listeners can donate in person and meet personalities. Donations will also be accepted via the station website or calling the studio request line 570-1925. Magic 92.5 is accepting tax-deductible donations through the “Magic 92.5 Foundation,” and Jagger & Kristi promise that 100% of the donation will go to making someone’s holiday season a little brighter. “We are determined to help as many families as we can with Christmas Wish 2014,” said Kristi. 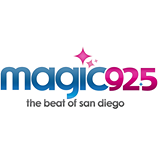 Magic 92.5 is owned and operated by Local Media San Diego, LLC, a privately held San Diego-based company. LMSD also operates Z90.3 (XHTZ-FM) and 91X (XTRA-FM).